Over 50 Years Providing Excellent Customer Service! 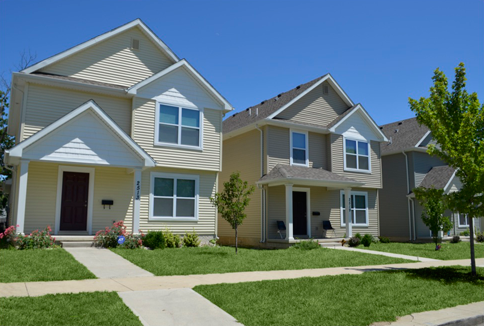 Headquartered in Decatur, Indiana, Biggs Property Management (BPM) has specialized in all facets of multifamily housing since 1970, including real estate investment, subdivision development, and apartment development and management throughout Indiana, Michigan, and Ohio. Today, the Company continues its dedication of excelling in the management of conventional, Rural Development (Section 515), HUD (Section 8), and Tax Credit (Section 42) properties. BPM also has experience managing properties operating simultaneously under multiple government programs, including properties that incorporate the Tax Credit and HOME programs. BPM offers a full array of property management services that are tailored to our clients’ individual needs to maximize the value of real estate assets and to meet specific investment goals. As a managing agent, the Company provides expertise in finance, accounting, management, marketing and maintenance with cost saving results and higher occupancy returns. Biggs Property Management handles the investment of real estate, subdivision developments and apartment projects throughout Indiana, Michigan and Ohio while specializing in small rural communities. For over 35 years Biggs Property Management has been a leading authority on rental property management of specialized housing including conventional housing, Rural Development, HUD, Tax Credit and Section 8 communities. President and General Manager of the Company Kevan Biggs and Director of Properties Cynthia Snider set high standards for performance and financial success with the ultimate goal of customer satisfaction. Biggs, Inc has been a leader in Affordable Housing Industry on both a state and national level. Biggs Property Management provides expertise in finance, accounting, management, marketing and maintenance with cost saving results and higher occupancy returns. Biggs Property Management handles the investment of real estate, subdivision developments and apartment projects throughout Indiana, Michigan and Ohio while specializing in small rural communities. Biggs Property Management is part of the Streamroll network of sites. This information was obtained from sources believed to be reliable, but no representations or warranties, expressed or implied, as to the accuracy of the information are made. You are responsible for verifying the information and bear all risk for inaccuracies. Pricing and terms are subject to change.